The children are finished with college and seem settled in their lives and now, it is time to think about the rest of your life. Where you want to live? 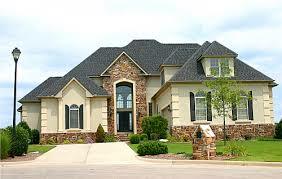 Clearly it is a great time to think of the house you want to live in as you move toward retirement. Thinking ahead tells you that a single-story home is what the future holds and what you will need eventually. No matter how healthy you are now there will come a time that stairs become harder and harder to climb. It is also a time if you are thinking of new construction, you can include some other features that you will enjoy as you age. Of course keeping in mind how much space you need and who will be visiting from out of town. For example, if your grandchildren be coming to visit and so you need that extra bedroom or two. One bedroom can always double as a home office. Some other features to consider are walk-in showers, big hallways and entryways and you can never have too much storage space. It might seem premature now but it is wise to look forward and be prepared. These considerations also give your home extra value. As strange as it may seem you and your spouse might have different feelings on some of this decision making. Where you want to live for example. One of you may want the warmer seasons year round and one may want the changing of seasons. Conversation upfront will help making these decisions much easier. If you have the financial independence to do so, a home in a warmer climate to escape to could be the ultimate plan? Either way, it's very important that you consider a home with low maintenance. Last but not least, you need to consider your pets. If Snoopy needs to be taken out often then a high rise condo with elevators might not be the best home to consider.​ It is a personal choice that should be considered seriously.